This chapter examines the measures implemented by the Pakistani authorities to force the repatriation of Afghan refugees. 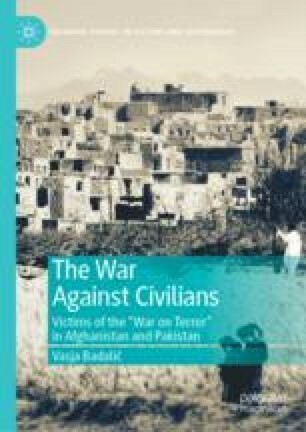 The first section of the chapter examines how successive Pakistani governments encouraged anti-refugee sentiment among the local population in order to create circumstances for the forced repatriation program. The second section explores how specific measures introduced by Pakistani authorities compromised the physical, legal and material safety of Afghan refugees before and during the repatriation process. The last section shows how the Pakistani authorities prevented Afghan refugees from exercising free choice when deciding whether or not to return to their country of origin. The section argues that Pakistan, with the tacit support of the UNHCR, breached the principle of non-refoulement. “Afghan Refugee Camps ‘Safe Havens’ for Terrorist: Aziz.” 2016. Dawn, June 21. http://www.dawn.com/news/1266141. Accessed on 14 July 2016. “Afghans Banned from Living in Haripur City.” 2014. Dawn, December 28. http://www.dawn.com/news/1153638. Accessed on 8 July 2016. Ahmad, Riaz. 2015. “Crossing the Border: Over 57,000 Afghan Refugees Repatriated.” The Express Tribune, November 17. http://tribune.com.pk/story/992823/crossing-the-border-over-57000-afghan-refugees-repatriated/. Accessed on 8 July 2016. AI (Amnesty International). 2003. Out of Sight, Out of Mind: The Fate of the Afghan Returnees. http://www.refworld.org/docid/3f12f8a92.html. Accessed on 8 July 2016. Ali, Rabia. 2007. “Kacha Garhi Refugee Camp Closes in Pakistan After 27 Years.” UNHCR, July 2007. http://www.unhcr.org/news/latest/2007/7/46a9f1324/kacha-garhi-refugee-camp-closes-pakistan-27-years.html. Accessed on 8 July 2016. Ali, Zulfiqar. 2016. “PM Grants Six-Month Extension to Afghan Refugees.” Dawn, January 14. http://www.dawn.com/news/1232892. Accessed on 8 July 2016. Ayub, Imran. 2014. “Renewal of Afghan Refugee’ Registration Cards Begins.” Dawn, February 27. http://www.dawn.com/news/1089683. Accessed on 11 July 2016. Bezhan, Frud. 2015. “Afghan Refugees Again on the Run—This Time from Pakistan.” Radio Free Europe/Radio Liberty, August 30. http://www.rferl.org/content/afghanistan-pakistan-refugees-again-on-the-run/27216943.html. Accessed on 8 July 2016. Brulliard, Karin. 2011. “Spotlight on Afghan Refugees in Pakistan.” The Washington Post, November 18. https://www.washingtonpost.com/world/asia_pacific/spotlight-on-afghan-refugees-in-pakistan/2011/11/15/gIQAfB1BYN_story.html. Accessed on 24 July 2016. ECRE (European Council on Refugees and Exiles). 2005. “Increasing Refugee Participation in the Field of Voluntary Return.” http://www.refworld.org/docid/465416e92.html. Accessed on 8 July 2016. Gall, Carlotta. 2004. “Pakistan Army Ousts Afghan Refugees in Militants’ Area.” The New York Times, July 21. http://www.nytimes.com/2004/07/21/world/pakistan-army-ousts-afghan-refugees-in-militants-area.html. Accessed on 8 July 2016. Gishkori, Zahid. 2016. “Policy for Repatriation of Afghan Refugees Gets Tougher.” The News, June 27. https://www.thenews.com.pk/print/130952-Policy-for-repatriation-of-Afghan-refugees-gets-tougher. Accessed on 8 July 2016. HRW (Human Rights Watch). 2002. Closed Door Policy: Afghan Refugees in Pakistan and Iran. New York: HRW. https://www.hrw.org/reports/2002/pakistan/pakistan0202.pdf. Accessed on 8 July 2016. ———. 2016. “What Are You Doing Here?” Police Abuses Against Afghans in Pakistan. New York: HRW. https://www.hrw.org/sites/default/files/report_pdf/pakistan1115_4up.pdf. Accessed on 8 July 2016. ———. 2017. Pakistan Coercion, UN Complicity: The Mass Forced Return of Afghan Refugees. New York: HRW. https://www.hrw.org/sites/default/files/report_pdf/pakistan0217_web.pdf. Accessed on 10 March 2017. Joshi, Rohan. 2016. “The Torkham Incident: Why Afghanistan and Pakistan Exchanged Fire.” The Diplomat, June 21. http://thediplomat.com/2016/06/the-torkham-incident-why-afghanistan-and-pakistan-exchanged-fire/. Accessed on 10 March 2017. Khan, Duniya Aslam. 2015. “UNHCR Calls for International Push to End Afghan Refugee Situation.” UNHCR, June 25. http://www.unhcr.org/news/latest/2015/6/558bff086/unhcr-calls-international-push-end-afghanistan-refugee-situation.html. Accessed on 12 July 2016. Khan, Tahir, and Iftikhar Firdous. 2016. “Pakistan Extends Afghan Refugees Stay Until End of 2016.” The Express Tribune, June 29. http://tribune.com.pk/story/1132923/pakistan-extends-afghan-refugees-stay-says-ambassador/. Accessed on 8 July 2016. Lauterpacht, Elihu, and Daniel Bethlehem. 2001. “The Scope and Content of the Principle of Non-refoulement: Opinion.” Geneva: UNHCR, http://www.unhcr.org/protect/PROTECTION/3b33574d1.pdf. Accessed on 31 March 2017. Margesson, Rhoda. 2007. Afghan Refugees: Current Status and Future Prospects. Washington, DC: Congressional Research Service. https://www.fas.org/sgp/crs/row/RL33851.pdf. Accessed on 8 July 2016. Mosel, Irina, and Ashley Jackson. 2013. Sanctuary in the City? Urban Displacement and Vulnerability in Peshawar, Pakistan. London: Humanitarian Policy Group. https://www.odi.org/sites/odi.org.uk/files/odi-assets/publications-opinion-files/8389.pdf. Accessed on 8 July 2016. OCHA (Office for the Coordination of Humanitarian Affairs). 2016. “Afghanistan Humanitarian Bulletin: Issue 56.” OCHA, September 1–30. http://reliefweb.int/sites/reliefweb.int/files/resources/ocha_afghanistan_mhb_september_2016.pdf. Accessed on 26 March 2017. ———. 2017. “Afghanistan: Returnee Crisis Situation Report No. 5 (as of 12 January 2017).” https://www.humanitarianresponse.info/system/files/documents/files/afghanistan_returnee_crisis_situation_report_no_5_12jan2017.pdf. Accessed on 27 January 2017. Roehrs, Christine. 2015. The Refugee Dilemma: Afghans in Pakistan Between Expulsion and Failing Aid Schemes. Kabul: Afghanistan Analyst Network. https://www.afghanistan-analysts.org/the-refugee-dilemma-afghans-in-pakistan-between-expulsion-and-failing-aid-schemes/. Accessed on 25 March 2017. Schöch, Rüdiger. 2008. “Afghan Refugees in Pakistan During the 1980s.” Geneva: UNHCR. http://www.unhcr.org/research/RESEARCH/4868daad2.pdf. Accessed on 25 March 2017. Turton, David, and Peter Marsden. 2002. Taking Refugees for a Ride? The Politics of Refugee Return to Afghanistan. Kabul: Afghanistan Research and Evaluation Unit. http://www.refworld.org/pdfid/47c3f3cb1a.pdf. Accessed on 8 July 2016. UNHCR Executive Committee (United Nations High Commissioner for Refugees’ Executive Committee). 1985. “Voluntary Repatriation: Conclusion No. 40 (XXXVI).” http://www.refworld.org/docid/3ae68c9518.html. Accessed on 8 July 2016. UNHCR (United Nations High Commissioner for Refugees). 1993. “Voluntary Repatriation: Training Module RP1.” http://www.refworld.org/cgi-bin/texis/vtx/rwmain?page=search&docid=3ae6b3580. Accessed on 12 July 2016. ———. 1996. Voluntary Repatriation: International Protection. Geneva: UNHCR. http://www.unhcr.org/publications/legal/3bfe68d32/handbook-voluntary-repatriation-international-protection.html. Accessed on 8 July 2016. ———. 2002a. “Afghanistan: Challenges to Return.” http://www.refworld.org/docid/4231bc0d4.html. Accessed on 8 July 2016. ———. 2002b. “Global Consultations on International Protection/Third Track: Voluntary Repatriation, EC/GC/02/5.” http://www.refworld.org/docid/3d62695d4.html. Accessed on 8 July 2016. ———. 2004. “Conclusion on Legal Safety Issues in the Context of Voluntary Repatriation of Refugees, No. 101 (LV).” http://www.refworld.org/docid/417527674.html. Accessed on 14 July 2016. ———. 2016. “Pakistan: Voluntary Repatriation Update—September 2016.” http://unhcrpk.org/wp-content/uploads/2013/12/VolRep_Summary_20161001_v1.pdf. Accessed on 25 March 2017. “Unusual Move: Govt Order Norwegian Charity to Halt Operations.” 2014. The Express Tribune, November 26. http://tribune.com.pk/story/797297/unusual-move-govt-orders-norwegian-charity-to-halt-operations/. Accessed on 27 January 2017. Yusufzai, Ashfaq. 2015. “Pakistan’s Tribal Areas Demand Repatriation of Afghan Refugees.” IPS, January 1. http://www.ipsnews.net/2015/01/pakistans-tribal-areas-demand-repatriation-of-afghan-refugees/. Accessed on 12 July 2016.